In his junior year at Caltech, striving student Dale Burger (BS ’56) lost focus and his grades took a dip. It was exquisitely bad timing: He was drafted. At the time, the U.S. was engaged in the Korean War. Burger was trained as a combat engineer to pull mines and blow up barbed wire even as enemies fired on him—a potentially deadly role. But a week before his deployment, he was reassigned to Germany. There, a corporal, impressed with his scores on Army exams, let Burger choose to serve as a topographic computer. In an interview for Techniques, he recalled returning home determined to gain credentials that would keep him free to decide his own fate. Burger (pictured above with his wife, Suzanne) completed his BS at Caltech and went on to attain graduate degrees from USC and Stanford. His planned gift to support the Summer Undergraduate Research Fellowships program and his contributions as a Caltech Associate will help generations of Caltech people choose their own adventures. 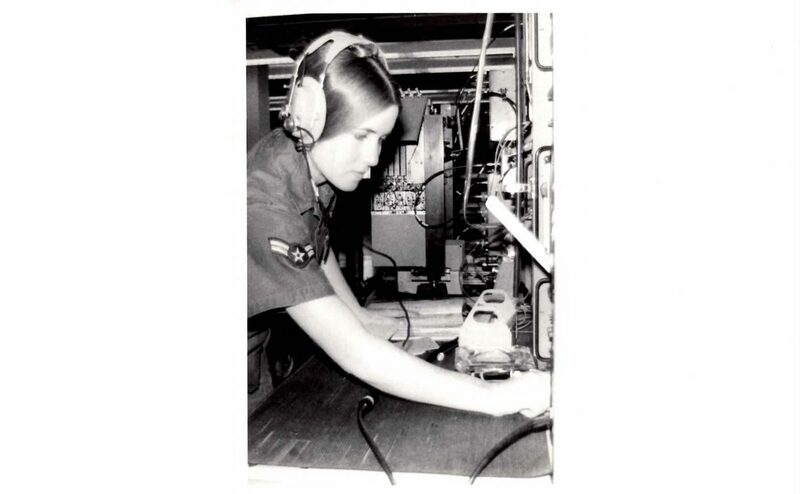 For Deborah R. Castleman (MS ’86), joining the U.S. Air Force was a step toward breaking down gender barriers as well as serving her country. 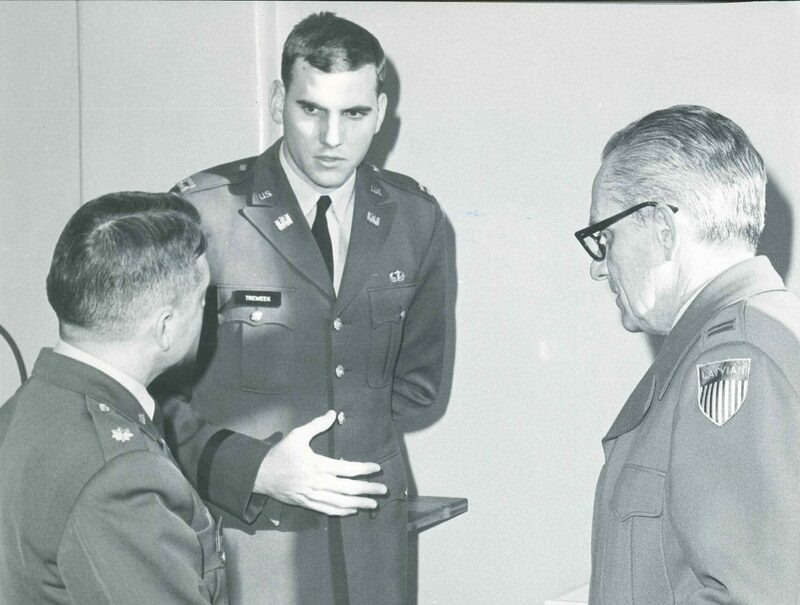 When Castleman enlisted in 1974, the military had recently ended the draft and was seeking volunteers. Jobs previously closed to women were now available. With an eye to becoming an electrical engineer, Castleman told the recruiter she would enlist if she was guaranteed a job in electronics. She was—and worked as an avionics technician for F-111 aircraft. “My military service helped prepare me for a promising career in the aerospace industry, and the rigor of my Caltech education prepared me to take advantage of opportunities that came my way,” said Castleman, who later went on to become a deputy assistant secretary of defense. Today, through her involvement with the Caltech Associates and Caltech’s advisory councils, Castleman is an enthusiastic supporter of Institute faculty and their research. 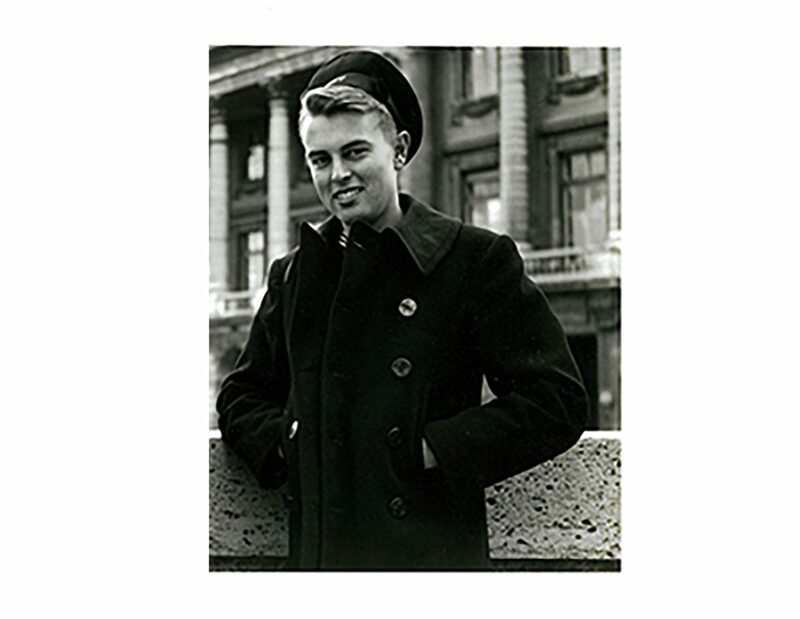 Cecil Drinkward (BS ’50) enlisted in the U.S. Navy after completing his first year at Caltech. World War II had just ended, and while serving abroad in Europe, Drinkward witnessed its aftermath in the form of destroyed buildings and displaced people. The experience changed him. Already a stellar student before joining the military, Drinkward returned to Caltech more mature and even more focused on his courses. “He would tell his family that the Navy was where he grew up and Caltech was where he learned how to think,” said his son, Wayne Drinkward, in an announcement celebrating his father’s gift to establish a leadership chair in Caltech’s Department of Mechanical and Civil Engineering. “Both enabled him to live a purposeful life.” Cecil Drinkward died in 2017. 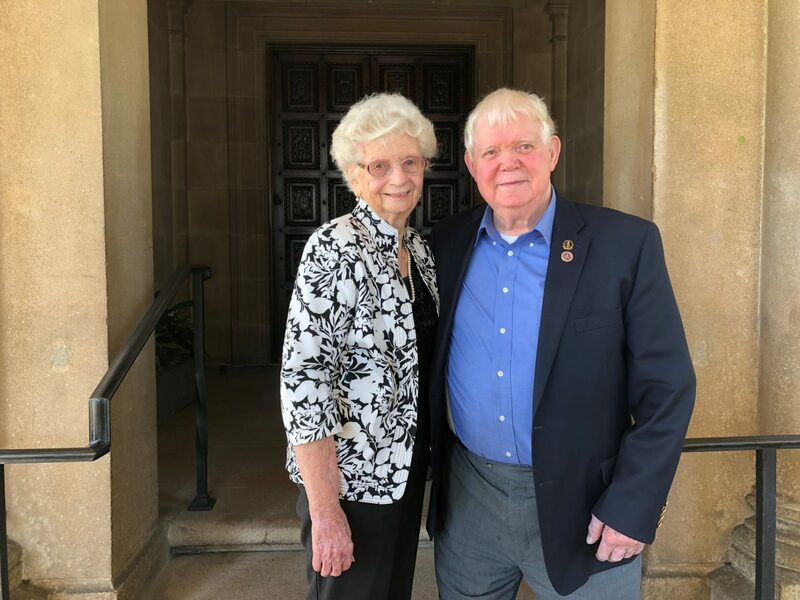 Return “Ret” Moore (BS ’47, MS ’48) joined Caltech through the V-12 Navy College Training Program, a World War II–era initiative that provided college tuition and military training for aspiring naval officers. During wartime, there were fewer pranks, and students couldn’t leave campus without permission. But Caltech’s spirit of discovery and adventure continued to shine. In an interview for Techniques conducted before his death in 2015, Moore related how a poorly planned boating excursion on the Colorado River forced him and a friend to walk and hitchhike their way back to Pasadena. “We were two days AWOL, and we figured we were in for some tough consequences. But after we told our story to some people at Caltech, they were pretty impressed, and all we got was two weekends marching for a couple of hours on the drill field.” After his passing in 2015, Moore’s estate provided Caltech with discretionary funds to address pressing needs and pursue promising opportunities. Gordon Treweek (MS ’71, PhD ’75) credits the U.S. Army for expanding his worldview and giving him the opportunity to develop leadership skills as a first lieutenant. His service included a tour of duty in Vietnam as well as assignments in Hawaii, Germany, and Thailand. After resuming civilian life, he enrolled at Caltech as a graduate student in applied mathematics. Returning to the classroom to grapple with abstract topics was not easy. 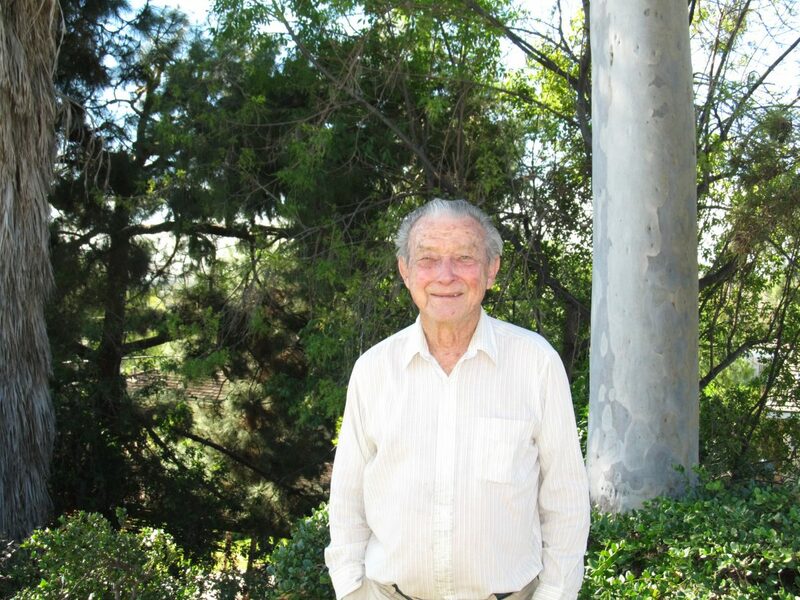 “A Caltech education is challenging, and I was faltering,” Treweek recalled. “When Jack McKee [former professor of environmental engineering] learned about my situation, he helped me change my focus to environmental engineering. I began to thrive again. I am so grateful that Jack and Caltech never lost faith in me.” To honor two of his mentors, Treweek established the Jack E. McKee Scholarship Fund in Environmental Science and Engineering and the James J. Morgan Scholarship Fund in Environmental Engineering Science.